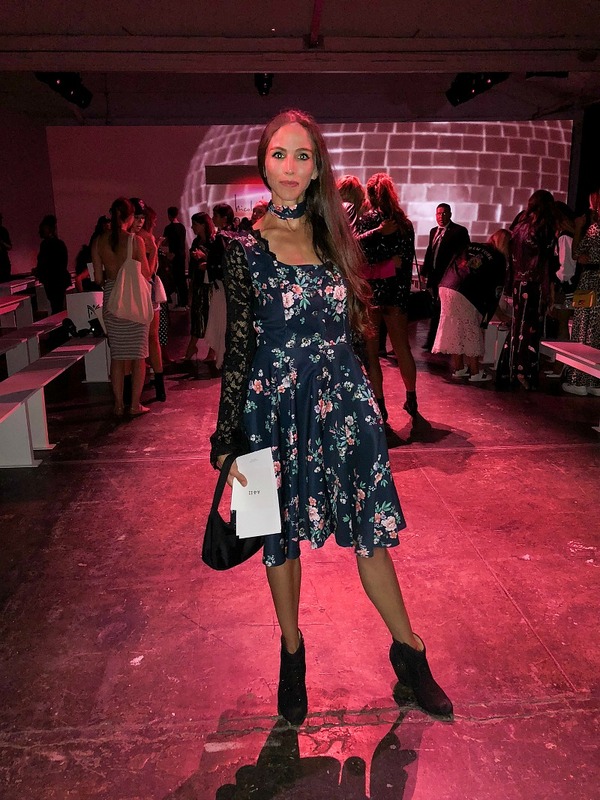 This past week I had the opportunity to attend New York Fashion Week with Brother Sewing. 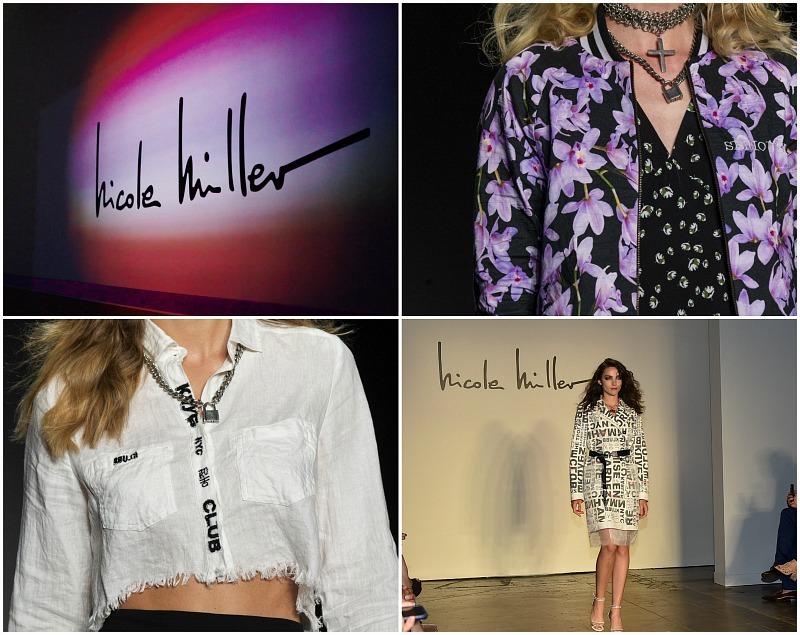 They were a sponsor of the Nicole Miller SS19 Fashion Show. The runway show featured looks with vibrant colors and prints of florals, camo, and leopard embellished with sequins. From embroidered bomber jackets to retro mini dresses, it was a mix of 80's cool meets modern rad. "My initial inspiration took root in the '80s with a club vibe. A little GoGo's, a little Blondie..." (Nicole). 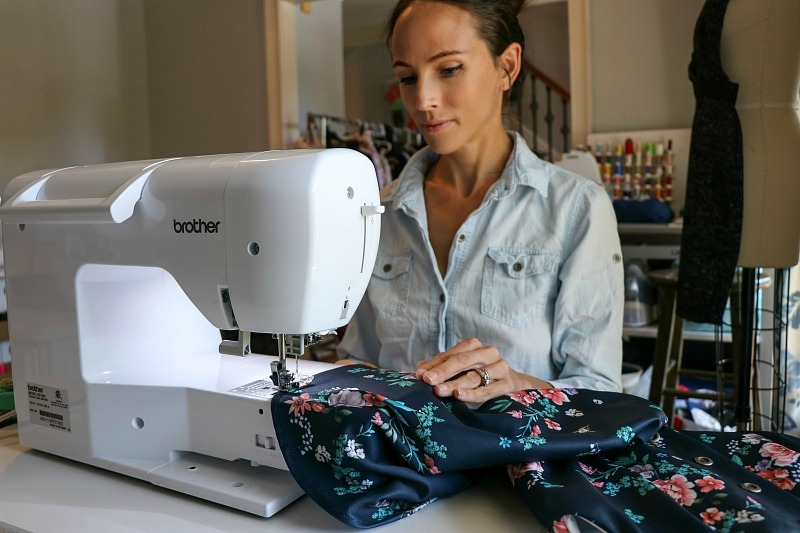 I loved the embroidered elements she added herself with the Brother SE1900 Sewing and Embroidery Machine. 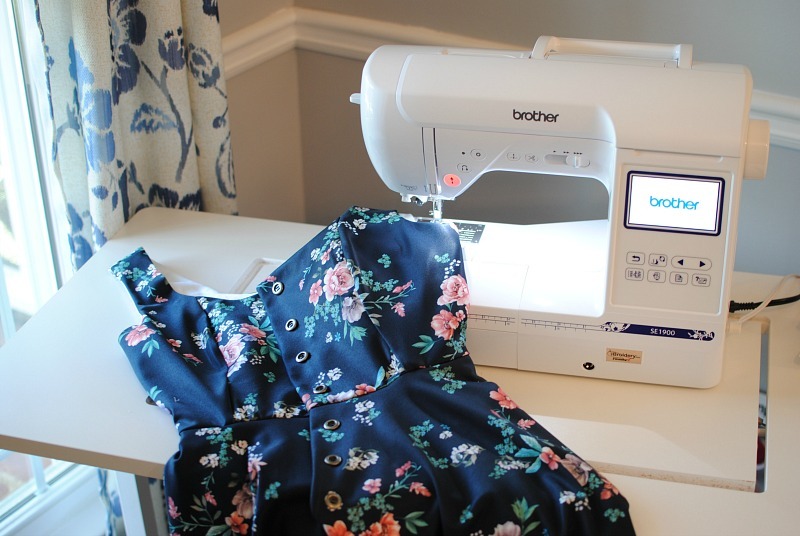 In true designer fashion I made my looks for the occasion using the Brother SE1900 Sewing and Embroidery Machine. For the first look I wanted to bring Georgia Peach to the Big Apple so went with this twirl worthy floral dress with button closures down the front. I created a lace bell sleeve to wear during the show that can be removed as well. I have several other looks you can check out on my Instagram that I made as well. NYFW 2018 was an inspiring experience. I left full of creativity and excitement to get to my sewing studio. I look forward to bringing these creative visions to life with my Brother Sewing machine. 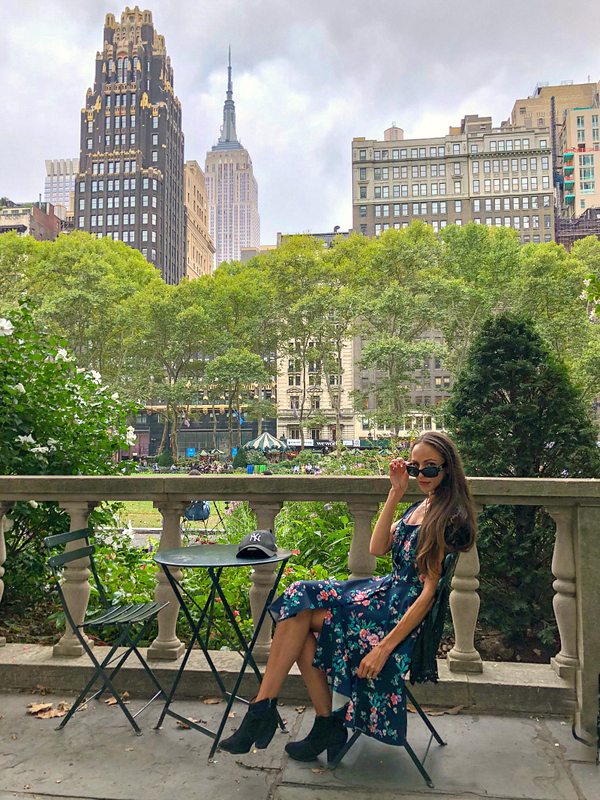 The QIZ floral leopard lace gown brings a sophisticated, luxurious look to the wearer thanks to its subtle combination of classic design and soft lace material that is the only option for ladies who love style. romantic. The dress looks so beautiful. It's match with almoot ocasions. Great stuff! I love your Brother SE1900 Sewing and Embroidery Machine. It's on my wish list. t is ideal for an assessee to calculate the income tax payable by him/her. This helps to avoid discrepancies at the time of filing the returns. They can use a number of online income tax calculators which are offered by various third-party websites. The Bihar School Education Board (BSEB) is the body responsible for conducting the board exam and declaration of the BSEB 10th Result 2019. The BSEB will declare the Bihar Board Class 10 2019 result by the last week of June tentatively.